The view from the top of the mountain on the first day of my trip. As a horse lover, a trip to Mongolia has always been my dream. While I was growing up, I wanted to get lost in its infinite and empty landscapes and never come back. 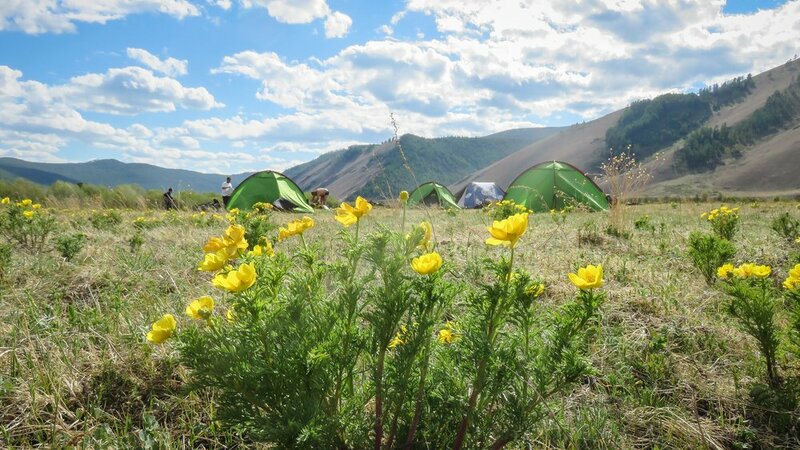 For my eighteenth birthday, I horse trekked for two weeks in the Khentii region of Eastern Mongolia, and had the chance to experience some aspects of the nomadic life that had fascinated me for so long. Chinggis Khaan remains the national pride of the Mongols – so much so that the main airport and the traditional vodka are named after him. Our horses were attached to a fence surrounding a 40-metre tall equestrian statue of him in the middle of the steppe. After two days spent in Ulaanbaatar, a truly unbelievable but amazing city in which yurts and skyscrapers share the same skyline, we left to embark on ten days of horse trekking with nomads to reach the lake Khagiin Khar Nuur, having followed the Tuul River. Before visiting Mongolia, my idea of the country was quite vague: I imagined endless steppes with some men, yaks and horses. Upon seeing Mongolia with my own eyes, I realised I wasn’t far from the truth. But I certainly didn’t expect such a diversity of landscapes, including forests and lakes, in a country known for its devastating dzuds – a natural disaster unique to Mongolia in which large numbers of cattle die every winter due to extreme temperatures. I had the chance to meet the families of the horse breeders I was travelling with. I saw these extremely strong and proud men become children again while wrestling or playing cards, at every possible moment of the day and night. I helped set up a yurt in the same way nomads have done for centuries, and I took part in a race in the middle of nowhere. I discovered elements of Mongolian shamanism, I listened to throat singing, and I learned traditional lullabies and Mongolian rap. Without my phone or the Internet, we spent our evenings playing games, telling stories and drinking vodka. Time went by slowly, and every day was a new adventure guided by the pace of our horses. I was proposed to four times during the trip, and on my way back to the airport, I must admit that staying in these steppes forever seemed terribly tempting.